Check out our full list of 25 blogs for some serious money saving tips. 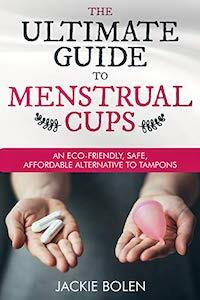 We’re all about eco-friendly, sustainable living, and women’s health awesome here at Reusable Menstrual Cups. I guess that’s why we’re so obsessed with menstrual cups. They are reusable, can last for up to 10 years and offer a healthier, chemical-free period experience without the risk of Toxic Shock Syndrome. Sounds great, right? There is, however, even more good news. Menstrual cups, and reusable cloth pads are much cheaper than disposable pads and tampons. Over the course of a lifetime, you can literally save thousands of dollars. Make the switch earlier in your life for maximum money-saving potential. If you’re all about the frugality like we are, then you’ll need to check out our Top 25 Frugal Living Blogs to Follow. Get even more tips and tricks for saving money, without hampering your lifestyle. Are you ready to save some money? Then keep on reading for some of the best thrifty living blogs. If you’re looking for all kinds of frugal, money saving cool, then you’ve come to the right place. Mr. Money Mustache is the guru of all things frugal living trendy. He’s so popular because his writing is entertaining, as well as informative. His posts are just plain entertaining. Even if you don’t care that much about frugality, you’d probably still read his posts until the very end. And then click on another one and read that too. He lives a radically different lifestyle than the average person, and even goes a whole lot further than most other frugal living bloggers do. Mr. Money Mustache is all about DIY. This is something that we’re trying to do more of, and we’re actively trying to learn all kinds of new skills. He’s an inspiration! He has a cult-following. For real. He himself calls them his cult. If you want to be a part of a radical, money-saving community then check out his stuff. He’s a pro at finding creative ways to live cheaply. He’s managed to build a fun, helpful online community. You can check him out for yourself here: Mr. Money Mustache. Taking the next spot on our list of the Best Frugal Blogs is The Simple Dollar. We’ve been following the Simple Dollar for years now, and they’re often our go-to source for a quick hit of inspiration when we’re feeling like jumping off the frugal lifestyle wagon. Simple, real tips for real people. Regularly updated and they cover a wide range of topics beyond frugality, Finance, investing, loans, insurance, etc. They’re all about cheap, simple meals built from cheap staples. This is the way we try to live at our house too, so we appreciate the new ideas. A big bag of potatoes, a sack of rice, and dried beans hanging around your cupboard for way too long? Go here to find out how to use them. 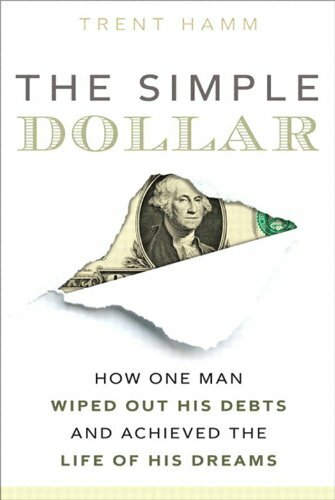 Get some frugal inspiration today: The Simple Dollar. Next up on our list of the best Thrifty Living Blogs is this very prolific one! We normally get annoyed by blogs and websites that blow up our news-feeds with too many updates. Wise Bread is the exception. It often feels like they got inside my brain and wrote articles only for me. They’re so relevant, up-to-date, and useful. Very prolific. At least a few blog posts a day, covering a huge range of topics so check back often for more inspiration. Forums, tweet chats, etc. There are lots of opportunities for interaction with other like-minded people. Their “life-hack” section is particularly good. If you’ve ever wanted some basic advice about a DIY topic, check here first. They’re probably covered it. You’ll learn how to manage your day-to-day expenses. Find them here: Wise Bread. If you’re serious about saving money, then you’ll need to check out this top frugal living blog. For example, at the time of writing, the first post on the site was about how she spent $225/month on meals and snacks for a family of six. It included menus and recipes. Impressive! VERY detailed menu ideas, and recipes to help you get started. Even if you just take a few tips from her, you’ll be saving a ton of money on groceries each month. Check out her section on Frugal Gift Ideas. This is often a huge budget killer for a lot of people, but it doesn’t have to be. She’s all about cooking from scratch and doing things like canning and her posts are full of tips for how to do it well. If you want to get healthy as well as save some cash, you’d do well to take a lot of her advice. Seriously. One of the best Canadian frugal blogs is this one. As a Canadian myself, I’m always happy to read blogs from fellow Canucks. Notes from the Frugal Trenches blogs about living in a big Canadian city, which isn’t easy (we’re from Vancouver, we know). Taxes are high. Services are expensive. Housing prices are ridiculous. The posts about how they saved money this week are honest, inspiring and full of great money saving tips. She’s up to 5 days a week of no-spending, which we find quite impressive. We try to have a lot of days like this ourselves. She sees becoming more frugal as a journey. It’s not something you can instantly do, but it happens through a series of gradual changes. If you’re a beginner on the path towards saving money, you’ll probably want to check her out. Check it out for yourself here: Notes from the Frugal Trenches. This thrifty living blog is from an inspiring family who retired early and now lives on a homestead in rural Vermont. Through frugal living, they’ve created a life they love, instead of being slaves to consumerism. They are proof that it works! We love following along with them on their journey as they learn all sorts of new skills related to living off the land. Their reader case studies are particularly interesting and inspiring on our own journey towards living more frugally. 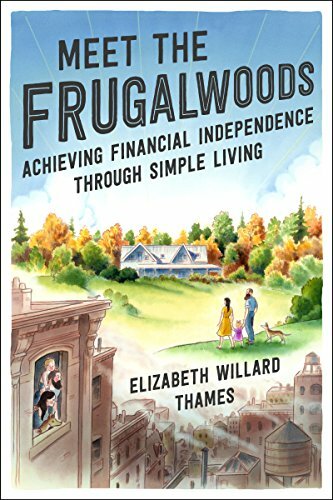 Find out all about the homesteader journey here: Frugalwoods. 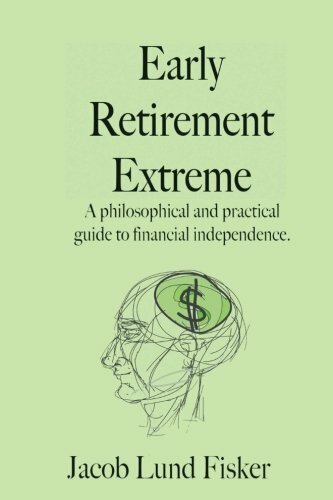 Jacob, from Early Retirement Extreme will help you become financially independent in only 5 years. You can do this through running your personal finances in much the same way as you would a business. If you’re serious about retiring early, this is a can’t miss blog. 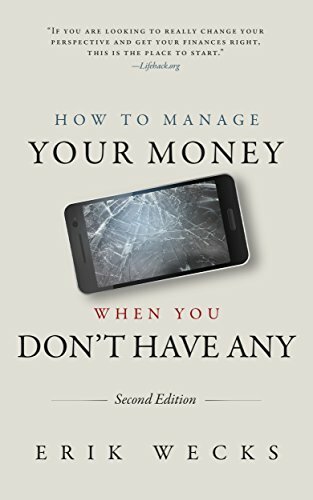 ERE goes far, far beyond the simple frugal living tips like, “Go to the library instead of buying books.” It’s for people who are extreme, and have some big goals. The forums at Early Retirement Extreme are active, and filled with lots of people offering all sorts of wisdom. If you need advice about a specific topic, this is probably the place to ask your question. Jacob lives in a ridiculously little amount of money ($7000 per year) and is able to track it well for us to see. It’s impressive to say the least. Small changes really do add up! For a serious dose of saving money, check out: Early Retirement Extreme. If you want to get into some serious savings on your grocery bill each month, Money Saving Mom is the frugal living blog for you. She’s all about freebies, and couponing and has some super solid money saving tips. The coupon database is amazing. Seriously. Gold straight into your bank account each week and really useful for finding out about weekly features. She’s all about making things herself in order to save money, from meals to cleaning products, to just about anything. If you’ve ever thought, “I wonder if I can make_____ myself,” she’s probably tried it. She finds the craziest deals and gives you all the information you need to know about them, and nothing more. Some excellent frugal meal ideas. Get some frugal power here and visit her here: Money Saving Mom. She gives you the straight up numbers for how she’s doing. We appreciate this a lot and find it refreshing when financial bloggers give the actual numbers. Six Figures Under covers frugal living from a big range of topics, including home, garden, kids. Stephanie has a no-spend month. As we’re currently in the middle of a “no-spend” January, this provided a good dose of inspiration for us. Find out how to get out of student loan debt here: Six Figures Under. Are you looking for some of the best frugal living advice and money saving tips? Okay, so we know that Reddit isn’t really a blog. It is however, one of the best places to go for a bit of inspiration on your money-saving journey. It’s also an excellent place to go if you have a specific question you want answered. For whatever reason, Reddit is filled with smart, wise people who seem to know just about everything. The frugal subreddit is very active, and there are always new tips and tricks so be sure to check back often. Check out Reddit /frugal here. Next up on our list of the Top 25 Frugal Living Blogs is Jessi Fearon at the Budget Mama. If you’re just getting started with budgeting and feel like times are tough, this blog should be one of your first stops. They’re serious about budgets and offer a myriad of tips, and printables to help you get started on your own journey. Jessi is very open about the actual numbers, and her own progress towards a debt-free life. We always appreciate some cold, hard cash facts from personal finance bloggers. Check out her debt-free resources section for a million and one other things interesting. If you want to get out of debt, be sure to head over to Jessi Fearon’s blog. Do you feel like you spend way too much money on groceries each month? If yes, you’re not alone! Most of us actually feel a lot like that. Are you even able to track it? Living on a Dime is a must-read if you’re looking to change your grocery bill stress. Delicious, simple, cheap recipes that the whole family will love. Excellent tips for grocery shopping. While writing this article, we actually stopped to read her article on how to cut your grocery bill in half. Okay…we’re back now! She feeds a family of seven for $600 a month. Impressive! Most people would struggle to feed a family of four for that amount, so she certainly knows what she’s doing. If you want to learn how to manage food expenses, it’s certainly the site for you! We love their creative ways to cut daily expenses and how to live simply on a budget. Get some tips for saving money on food here: Living on a Dime. If you’re on the lookout for some random, wacky ways to save a few bucks, then you’ll need to head on over to the Penny Hoarder. We seem to always find some never-before-heard money-saving tips. If you’re kind of quirky, you’ll probably love this website a lot! Lots of tips and hacks for employment kind of stuff. If you’re looking to transition into a new career, have a look. You can learn frugal living tips that will help you live well at the same time. For example, the best winter beers for a reasonable price. We LOVE the section on class action settlements. Check it out to see if any products you use are on the list and get in on the action. You can learn how to reduce your everyday expenses. Get your class action settlement money now! Check out The Penny Hoarder. And Then We Saved is one of the top frugal bloggers that we love to recommend. To date, the readers of And Then We Saved have crushed more than $3,000,000 in debt. If you want to be part of this awesome, then you’ll need to check out this website. You can find out about spending diets, and spending fasts in order to kickstart your debt payment into high gear. Super-practical tips for paying off debt. In particular, we love the spending diets/fasts because this has huge potential to help you achieve all sorts of goals very quickly. We LOVE her 3-step challenge to become debt free. Practical and very motivating. Her writing is witty, entertaining and makes you want to keep clicking on the next post to read more. Check out the blog here: And Then We Saved. Mavis, from One Hundred Dollars a month has reduced her food bill from $800/month to $100-200. She does this through a combination of coupons, gardening, and raising her own chickens. If this isn’t impressive, I’m not sure what is! She has an interesting perspective from which to share her frugal living tips. Some solid advice for how to save money on food, with a ton of tips about gardening, cooking, and shopping at the grocery store. You can get some inspiration from other people, and share you own as well. Send Mavis your pictures and tips. Lots of delicious recipes that are inexpensive, delicious and easy to prepare. Get ready to reduce your grocery bill here: One Hundred Dollars a Month. If you’re serious about getting out of debt, or learning how to invest your money wisely, then Budget and the Bees is the blog for you. There is a huge range of articles that cover a myriad of personal finance topics. You can find out how to save money on topics ranging from travel, to buying a car, to food. If you’re the disorganized type, be sure to check out her “organization” section for lots of useful advice and hacks to start doing better. Check out her excellent “blogroll” in the right sidebar for way more frugal living/personal finance websites to check out. She’s a household management pro! You can find her here: Budget and the Bees. Next up on our list of the Top 25 Frugal Living Bloggers to read is Squawkfox. Kerry is dedicated to helping you get out of debt, increasing your savings, earning more, and investing wisely. Solid financial advice from someone who really know what they’re talking about. This is particularly true for the investing advice. If you’re a fellow Canuck, you’ll want to check it out. It’s regularly on the lists of the best Canadian personal finance bloggers. We LOVE the focus on reducing food waste. As we’re currently in the process of trying to waste absolutely no food at our house, we appreciate the tips and inspiration. Get serious about saving money: Squawkfox. If you want to take control of your money, so you can pay off debt, and achieve financial freedom, then Our Debt Free Family is the blog you need to check out. Amanda is dedicated to helping you do this in a few different ways, from side jobs to reducing energy usage, to setting smart goals. She has some inspiring stories about how regular people have paid off huge amounts of debt. Amanda gives you a step-by-step plan to help you achieve your financial goals. It’s so easy that just about any average person could do it. Check out the “Toolkit” section on her website. There are a myriad of useful resources to help you out. Find out more here: Our Debt Free Family. Next up on our list of the best frugal living blogs is Fun Cheap or Free. Jordan offers some serious inspiration through sharing her own story of financial disaster. She’s achieved all she has through having faith that giving up lots of good things would lead to greater things. A massive range of topics covered. If you’ve thought of it, she’s probably written an article about it. Some excellent writing here that makes you want to keep clicking on the next article, and before you know it, hours have passed. But, it’s not been wasted time because the information is so solid. 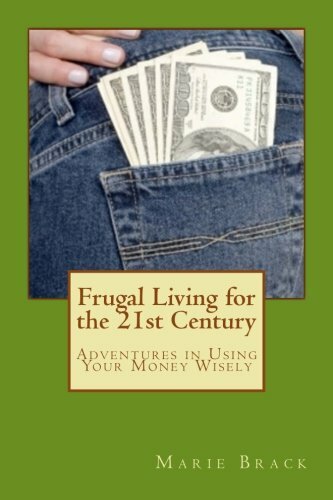 Living frugally doesn’t have to terrible! You can also have some fun along the way. Check it out here: Fun Cheap or Free. We found our way to Slow your Home after first listening to the excellent podcast. During the course of two years, Brooke has decluttered more than 25,000 items and is learning to live well with less. Simplicity goes hand in hand with frugal living which is why we’ve included Slow your Home on this list. Relax. Slow Down. Breathe. This is what we feel like after spending a few minutes on this site. You really can live well with less. Brooke is living proof of that and we find her inspiring! Changing your mindset towards things is key to reducing debt, and staying out of it in the future. Slow your Home will help you on this journey. All the details here: Slow your Home. Raising Simple is all about minimalism for families. It can be hard to not get all wrapped up in the consumeristic crazy with kids, so we really appreciate Raising Simple for helping us navigate those murky waters. Zoe has four kids, so she really knows what she’s talking about! Very few bloggers are talking about minimalism with a family. Zoe is one of the few voices, but not only that, she’s smart about it! A nice combination of very practical tips, and the philosophy behind this kind of lifestyle. We love the design and layout of her blog. It’s simple! A few minutes here always makes us feel calm, relaxed, and ready to go face the world. Check it out here: Raising Simple. Living Rich Cheaply is one of the top frugal bloggers around. If you live in a very expensive city, but want to live frugally and retire early, then you’ll need to check out Living Rich Cheaply. His family lives in New York and lives well, despite the very high cost of things there. Although his blog isn’t update frequently, there are plenty of good tips from the archives to dig into. Very detailed content, with plentiful links to additional resources. He covers all the angles of a certain topic very well. Actionable, easy tips will inspire you to action. A nice range of topics from frugal living, to lifestyle to investing. Check it out here: Living Rich Cheaply. This family has been doing the frugal living thing since the early 80’s. It’d be an understatement to say that they are now the masters of it and have a wealth of excellent information to share with the world. Even though they have five kids, they’re able to pay off houses and use cash for the cars they buy. Impressive! They spend only $350 per month on food and disposable items for a family of seven. Get some tips, recipes, and inspiration here to reduce your own grocery bill. They strive to make frugal fun. Seriously. It doesn’t have to be so terrible and we appreciate their focus on this. Learn their frugal living secrets here: America’s Money-Smart Family. You really can live the VIP lifestyle on an average paycheck! There are a few steps that Amanda recommends, including: get out of debt, save gobs of money, shift up, and design your life. Her writing is witty and entertaining and we always want to keep reading more. She can give you hope that frugal living isn’t forever! You can start to loosen the reigns a bit at some point in time. Frugal Confessions covers a wide range of topics, most of them in detail and all of them with plenty of actionable steps you can take. 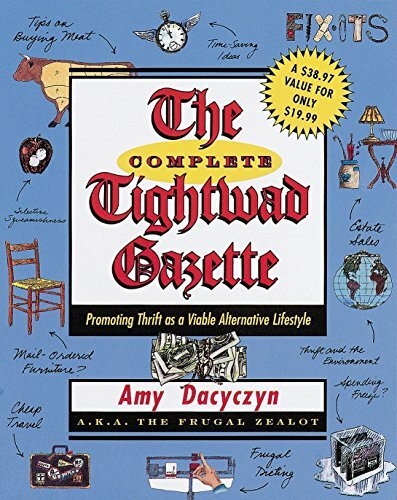 She shares the goods with you for how to live more frugally! Find out more here: Frugal Confessions. If you want to retire early, but aren’t sure what it takes, then check out I Retired Young. He breaks it down pretty clearly in terms of how much money you need, and what you might have to give up. He’s very reflective on his own experience, and is very open about sharing actual money details. His focus is very narrow—early retirement. So if you’re interested in this, you’ll find a wealth of information here. He talks about the psychological aspects of retiring early, if he’s bored, what exactly he does with his time, etc. The content detailed, and cover the certain topic in detail. Check it out here: I Retired Young. If you’re an English teacher abroad who is looking to build your financial future, then you’ll need to check out TESOL Lifestyle. Unlike many of the other blogs listed here, they’re more like “real” people who are making some progress, and some mistakes along the way. They are very open about sharing personal details with how fast they’ve paid off debt, savings, salary, etc. They’re also open about passive income, and side-hustle income. It’s been interesting to see how having kids has impacted their goals of financial independence. They offer some smart advice on the dreaded B word—budget. We’re not huge budgeters, but they make it seem like even we could do it. They’ll help you stay on track with paying off debt. Solid advice on living simply. If your goal is to teach abroad while retiring early, then you’ll need to check them out here: TESOL Lifestyle. Who needs to stop at just 25? Let’s keep going with some more of the frugality awesome. Janet is well-qualified to talk about personal finance—she is a former financial analyst, who has now left the soul-sucking corporate world to pursue her dream of traveling the world. Advice from someone who knows what they’re talking about in the world of finances. A nicely designed and well-organized website that’s easy to spend lots of time checking out. Students? Find out how she graduated debt-free after 6 years of university! You may think times are tough with student loan debt, but it doesn’t have to be this way. Check her out here: My Twenty Cents. It’s one of our favorite, new blogs to follow. Have your say! Who do you think is the best frugal living blogger to keep on eye on? Leave a comment below and let us know. They can be on this list, or someone else that you love. And don’t forget to share this page on Facebook, Twitter, or Pinterest. Thanks so much for this great list of frugal living blogs. I’ve spent way too many hours looking at them all, but not wasted I guess since it’ll save me a ton of money. Hopefully. Awesome! Happy that you found the list useful. I’ve picked up a ton of tips from these guys.